We know that the number of women that are killed on a daily basis because of their gender, often by their loved ones, is high, very high. What we often do not know is their individual stories: how they died; how old they were; by whom they were killed; and why. Zeren Goktan, with her gripping exposition ‘Counter’, tells us their stories. The exhibition consists of beautiful beadwork made by male inmates at the Umraniye Type T Department of Corrections in accordance with Goktan’s design. The work is inspired by the shrouds that were used by Ancient Egyptians to protect the dead and show them their way into the next world. The quick response (QR) codes that are embedded in the works symbolise the connection between the real and virtual worlds. Each of the pieces contains a QR code that can be scanned by a mobile telephone. The scan brings the spectator to the virtual monument on the world wide web. The monument portrays the stories of the women who died by acts of violence. As the number of women continues to rise on a daily basis, so do their stories, which are collected by the Kadin Cinayetlerini Durdaracagiz Platformu (Platform to Stop Female Murders). Needless to say, the stories are shocking and help to remind us once more that more should be done to eliminate these horrendous practices. With her artwork the artist sends a powerful message that we should not forget. The stories can be found on http://www.anitsayac.com. 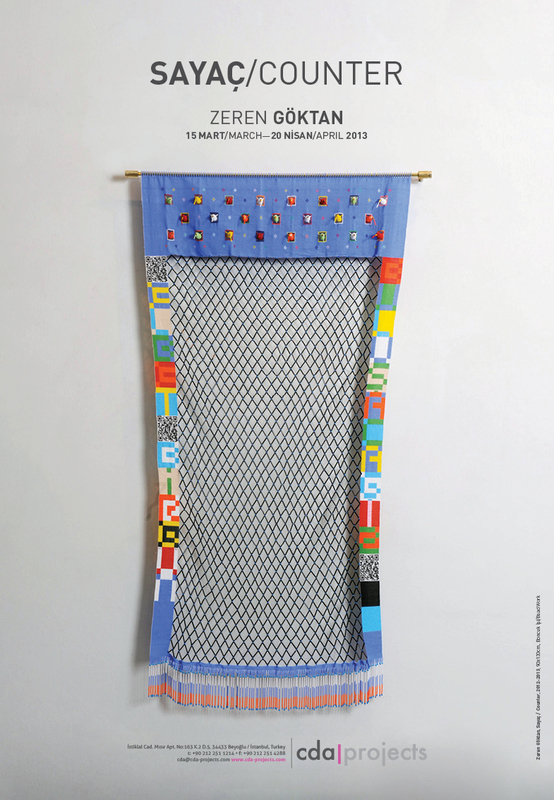 The exbition can be visited from 15 March – 27 April 2013 at Misir Apt., Istiklal Cad., No. 163, Beyoglu, Istanbul, Turkey.